The History of Halton Curve detailed in "The Birkenhead Railway" by T.B.Maud published by the RCTS. "The London North Western Railways (LNWR) high level bridge across the Mersey", (otherwise the Queen Ethelfreda Bridge), " between Runcorn and Widnes was opened on 1st February 1869 and that company's answer to the inadequacy of the ferry facilities at Birkenhead was the new line from Frodsham Junction to Halton Junction which was authorised by the LNWR (Additional Facilities ) Act 1869 and opened on 1st May 1873. 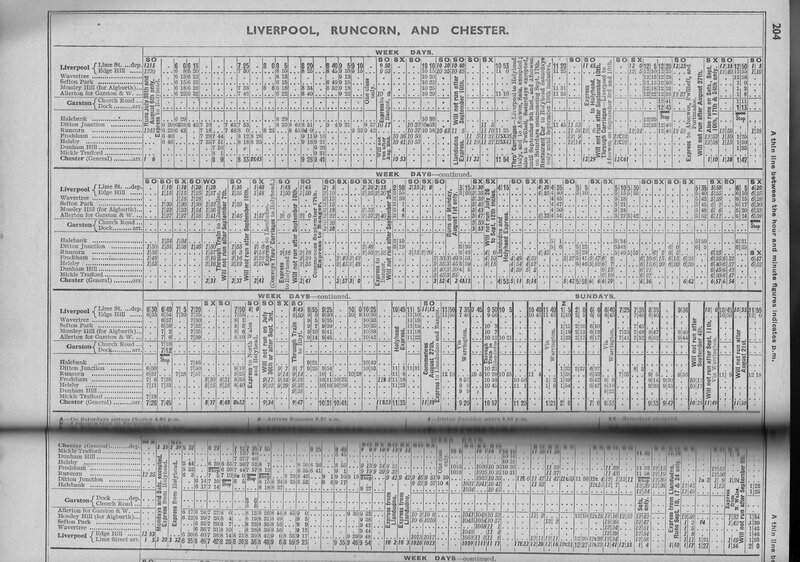 The rail distance between Chester and Liverpool (Lime Street) was considerably shortened and the principle North Wales trains were routed over this line instead of to Birkenhead. However this line was authorised only after concessions had been made to the GWR who opposed it vigorously, in its original form, because of the loss of the Joint Liverpool traffic. As compensation for the high cost of the Runcorn Bridge, the Railway and Canal Commissioners had permitted the LNW to charge for an additional six miles equivalent to the distance via Warrington and a variation of the same principle was now applied to the Frodsham - Halton Junction curve. 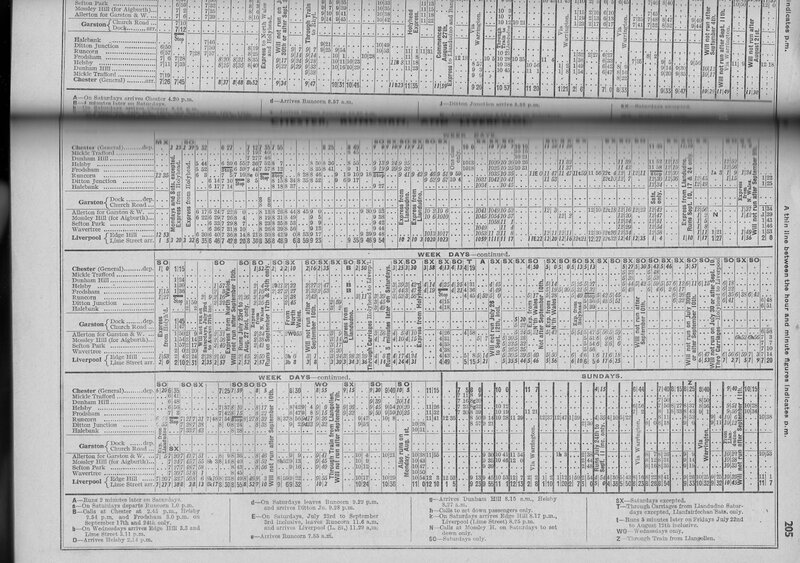 Section 8 of the 1869 Act empowered the Joint to charge a toll on all traffic passing from the Joint line on the LNWR over the curve and at a meeting between the General Managers on the 26th March 1873, the following rates were agreed." "On passenger and goods traffic carried between Lime Street and other Liverpool stations , including Edge Hill and Frodsham the toll to be as for four miles, Helsby six miles and Dunham seven miles. 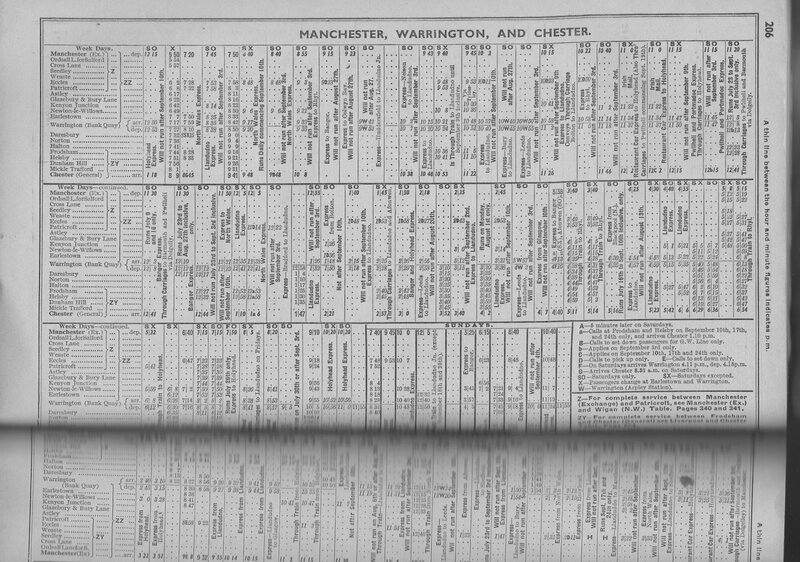 Passenger and goods traffic between Chester and stations on the Joint line between Frodsham and Edge Hill ( excluding the latter but including Widnes) were charged the actual mileage rate." Main Line trains over Halton Curve! 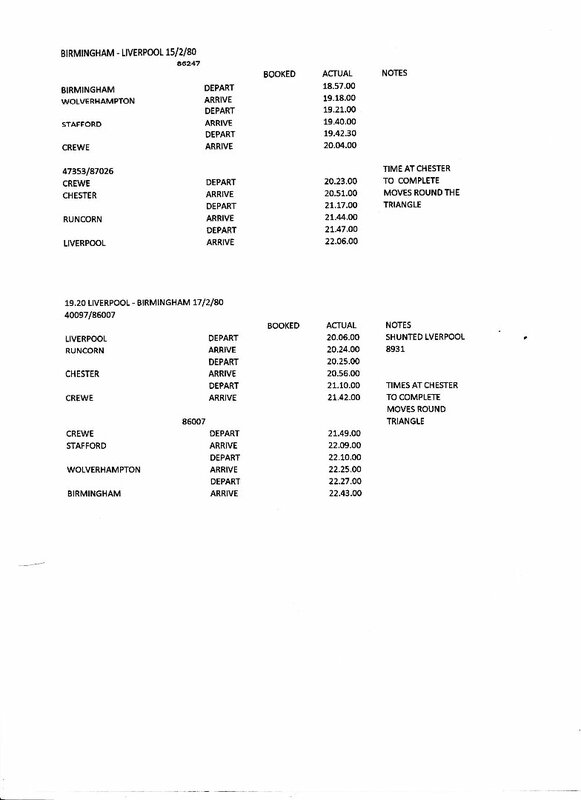 An interesting document has been created by our Member Bob Florence which details the movements of two trains from Birmingham to Liverpool and return and features the times at various points during the journey. 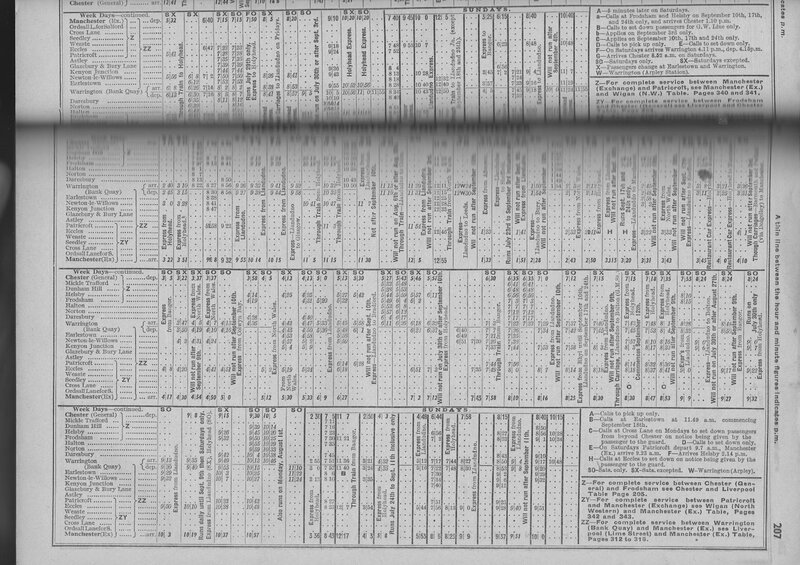 The locomotive numbers are shown, train times and passing times, enjoy. It is interesting to note that in the December 2004 issue of the Railway Magazine the expected cost of reinstatement was estimated at £3m and now, in 2016, it is nearer £20m!